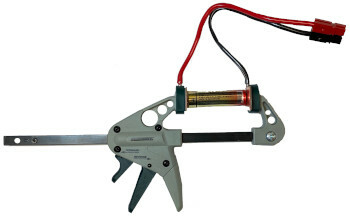 The ratcheted clamp provides a safe and easy way to secure a single cell battery as a CBA test connection. Clamp includes low resistance pads and 6" long 12 gauge silicon wire for high current use, 40 amps MAX. 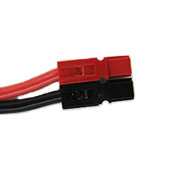 Accepts any round, end terminal cell, up to 4" in length.